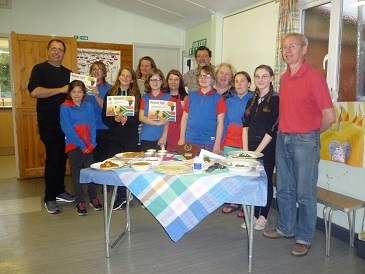 1st Gurnard Guides had another of their ‘Cook-In’ competitions recently. 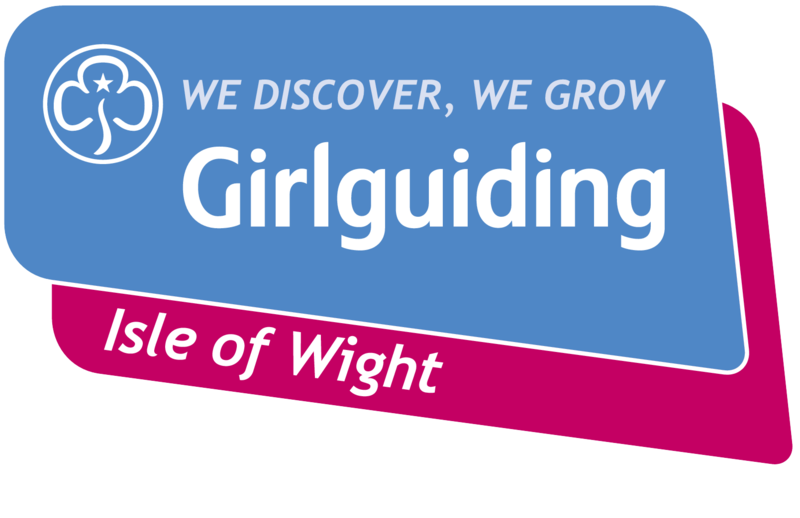 This time the Guides were working towards their Breaking Barriers Badge which included looking at life differences of a young teenage girl, Claudine, living in a poorer part of Africa compared with teenage girls in the UK. Having reached the Nutrition section, the Guides tried to manage food for a day on 80pence per person with a visit to a local supermarket. They did well and this was followed by discussing food management and cooking the meals they planned. “40 per cent of girls in the UK don’t have enough iron in their diets, particularly during their period. Claudine has even less access to nutritious food than girls in the UK, and often makes meals out of only basic ingredients. Try using just three basic ingredients to create a nutritious meal that will provide enough energy for the day. All the Guides were invited to team up with an adult (parent/known adult) to cook and present a dish of their choice that could be prepared and presented within 90 minutes. Each team had a single gas ring cooker on their tables and they all provided their own utensils and serving dishes. Six teams competed and whilst the judging took place, tea and drinks were provided and a raffle was organised for Guide funds. 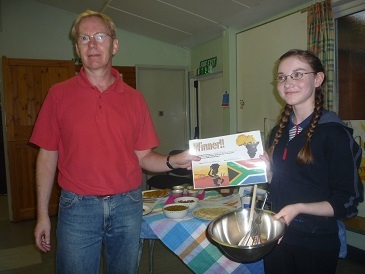 Georgie Price and her dad were the winners with their three dishes including a red lentil dhal and they received a winner’s certificate and prizes. Runner up certificate and prize went to Team Jessica (Jessica and mum) who prepared Spinach Bolognaise. All the other teams were awarded Highly Commended certificates with small prizes for participation. After the judging and presentations everyone was invited to sample the food, forming a perfect end to the evening.